I am talking about collectibles here, mainly unique one of a kind items. Not the super expensive rare, no. But the little collectibles that are unique, such as vintage photos. Where you have no "completed auctions" price and where Google is useless. Well when you put them for sale, you need to fix a price. I usually set a price based on what I paid for and the potential interest of the item. Sometimes I make mistake (not expensive mistake, but still). And this one is a mistake. Originally it was going to be an auction, but I picked the wrong choice, didn't catch it, and it sold almost instantly. Don't get me wrong, at the price I sold it for, I made a nice profit. BUT who knows, I could have done much better then this. The photo was large, almost the size of a sheet. 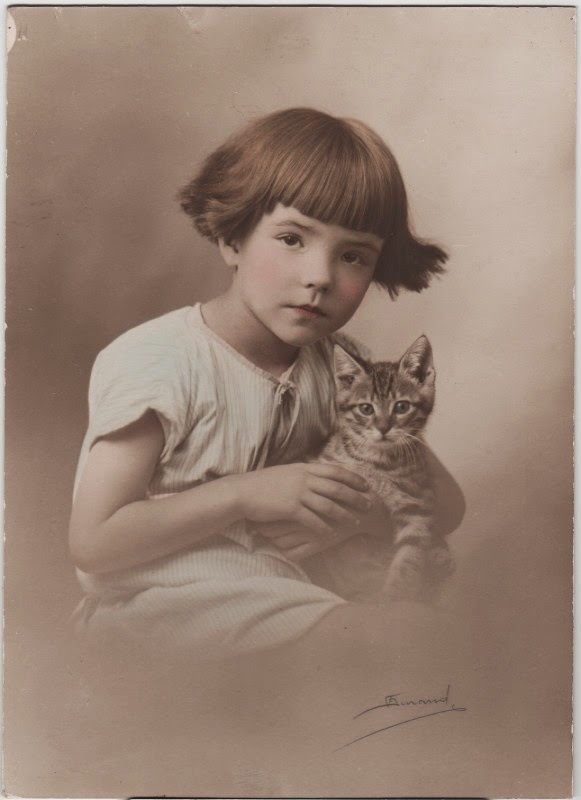 It was a beautiful subject: little girl with her kitty cat. A beautiful portrait hand colored too. My mistake. You know your BIN was too low when it sells almost the minute you put it online. Lesson learned! Has this happened to you?